While hair loss is devastating for anyone, it’s even worse for celebrities like actors who make their living in the public eye. Sure, there are male celebrities whose baldness has not been an issue for their career. The shaved head has become part of their personal brand. But for many stars, especially those who have built their profession around a full head of hair, going bald can be the kiss of death for their career. Not everyone chooses to seek treatment. And of those who do, very few are transparent about their hair transplant surgery. Due to the naturalness that can be achieved by today’s hair restoration procedures, there are many celebrities losing hair who seek hair restoration surgeries, whether we are aware of this or not. 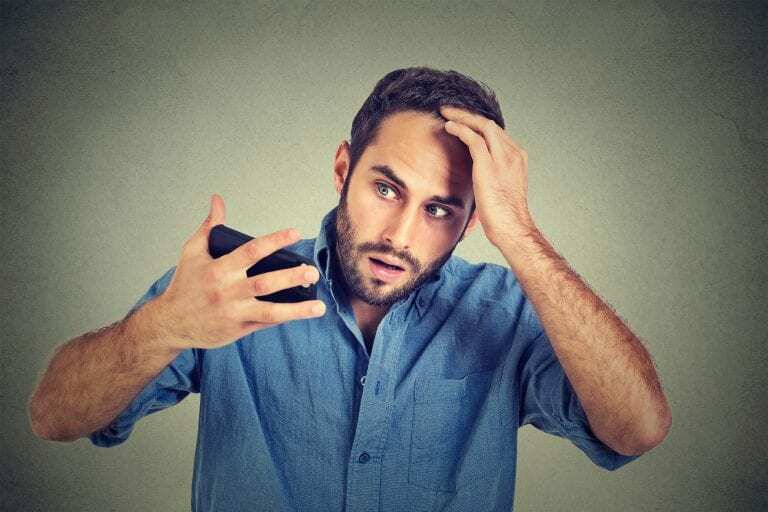 Due to career reasons, performance artists, actors, musicians, and celebrities losing hair feel strongly compelled to find solutions for hairline recession, baldness and thinning. Here is a list of commonly used methods that celebrities (as well as non-celebrities alike) will resort to for thinning and depleting hair. Many celebrities losing hair choose to simply shave their head. Usually, the bald look becomes essential to their image. Examples of celebrities who choose to shave their head include Bruce Willis, Dwayne Johnson, Michael Jordan, and Charles Barkley. Scalp Micropigmentation is a relatively new procedure on the market. A few celebrities have opened up about their experiences with SMP including Spanish music star Nicky Jam and NFL running back Louis Rankin. Some celebrities, like Jason Alexander and John Travolta, choose to wear a hairpiece rather than undergo a hair transplant. In most of these situations, the celebrity suffers from severe hair loss and is under the impression that they are not a good candidate for a hair transplant. Luckily, with the advent of Dr.UGraft ™ Body Hair Transplants, it’s possible for even the most advanced balding patient to have a full head of hair. Very few male celebrities have been transparent about their hair transplant surgeries. However, a few have addressed the rumors head-on. Wayne Rooney, a UK soccer star, has openly spoken about his 2011 hair restoration. “Just to confirm to all my followers I have had a hair transplant. I was going bald at 25 why not. I’m delighted with the result,” he told his fans on Twitter. British reality star and model Calum Best has admitted to having not one, but three hair transplants after starting to lose his hair since his early 20s. He believes that the plan of nature (i.e. his genetics) was for him to have hair thinning on the top of his scalp. But he is thankful that our modern society now has the means to give people better options. Other celebrities who are believed to have secretly undergone hair transplant surgeries include Lebron James, Tom Brady, and Matthew McConaughey. Sometimes celebrities will seek out hair restoration and end up with a botched hair transplant. In this case, celebrities are just like the rest of us. Listening to bad advice from friends or a clueless manager, or not doing proper research can lead to regretful results. For example, sportscaster Joe Buck suffered from vocal chord paralysis after a badly performed hair transplant His eighth hair transplant procedure caused him to lose his voice for almost all of the 2011 baseball season. Medical experts believe that he was given general, not local anesthesia. But the incisions made during a hair transplant surgery would otherwise have no effect on the vocal cords. What Should Celebrities Use for Hair Loss? If you’re losing hair and constantly in the public eye, the best course of action is to choose a hair restoration procedure that represents the best of the best, especially if you’ve reached a late stage of baldness. At this point, not every candidate will have enough head hair to achieve the type of youthful coverage they want. Some people will resort to hair pieces and systems (like in the older days of the entertainment industry). Using this technology, even patients who are a 7 on the Norwood scale (extreme baldness) can once again have a full head of hair, since it is specially designed to also remove beard and other forms of body hair The Dr.UGraft BHT procedure is recommended for celebrities with any level of baldness, as it offers an extremely reliable way to ensure graft survival for credible-looking global coverage without the scarring of a strip surgery. Luckily, the same surgical techniques used on celebrities are available to anyone as well. Hair transplantation has come a long way to conquer the signs of male pattern baldness while creating very convincing and natural looking results in the end.